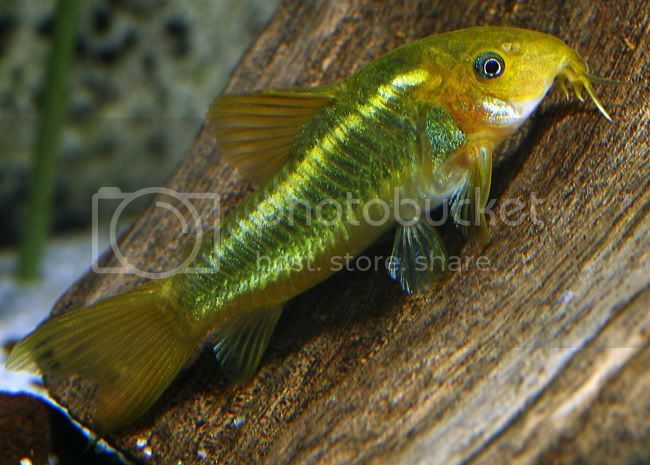 What I've found recently in the stores..
and if anyone likes Big African catfish Big Als in Newmarket has some nice Synodontis Angelicus 6-9"
Thank you wagon1, I went to Menagerie today and they don't have these cory in stock. I end up with some nice Poso orange snails. I really like them but they breeding very slow, in the last 3 months I only have two babies. That is why I pick up some more for my plant tank. I was at Big Als in Vaughn yesterday, they have 2 adonis about 6" each in good health, LDA67 clown plecos, Gibby's,Rubbernose, a whole tank full of STARVING to death (dead ones in tank) Gold Nuggets, Hi Fin ancistrius . I think there was one or two more I cant remember atm. Oh... They also had 3 adult Peruvian Angelfish in good health if anyone likes those. And they still have the $1000 arrowana for sale. Shark is still alive , BUT one of the triggers in the tank has popeye so bad it looks as though its eye will burst! DISGUSTING! They don't have much luck with that big tank. Adonis are no longer allowed for export or wont be in the VERY near future. So anyone looking for some heres a good chance to get a couple. Menagerie gets its south american order tonight, with fish ready for sale tommorrow? No pleco's listed on website but they are getting a Thallasophyrne Amazonicus (Freshwater Stonefish) for those that like weird large fish. If I get a chance this weekend I will go and check them out and see what they're not posting on the website..
That's scary that so many places get fish in and turn and sell the following day. QT QT QT QT! Thanks for the info wagon1. Keep us updated. Well I finally made it to the Menagerie Pet Shop yesterday, never been there before. It was quite a drive from my place, probably be awhile before I go back. Never seen so many fish crammed into such little tanks before. Had a talk with Harold who does the ordering , he said he can get things like Zebra's but they are out of his price range, quoted me $250 for adult L46 that are captive bred. They do carry some hard to find dry goods, I was able to get some Sera Catfish chips, and Hikari Micro Waffers (not pellets!) been looking for those for a long time now, seem to be very hard to find in Canada. Thanks for the update Wagon1. Like you, I'm far away from the Menagerie but whenever I'm in downtown Toronto I check it out. It's a nice pet shop.The tanks may be small but are very clean and the fish healthy and well taken care of. This store will bring in more species and better quality of fish than most of the big stores. And as you mentioned, they carry foods no one else does. I have never heard of a Ruby Cory. Is it another dyed fish from Singapore? The Dragon Aquarium has L-201 plecos for $19.99. Either have I and its my store... What do you mean by a ruby cory?